Justin Smolev (Culinary '96) wanted to do something that was lifestyle-oriented and could be duplicated. His Atlanta based Dressed seems to have hit the mark. Justin feels that he's taken the salad concept to its highest level and he has two additional locations opening in Altanta this summer, with one coming soon in Hong Kong as well. Visit dressedsalads.com to check out their menu and also check out The Atlanta Journal-Constitution for Justin's answers to five questions for their neighborhood dining column. For the last year, Carlos Perez (Pastry 2005) and his mother Debbie have been operating La Palette in Watertown, CT. Not only do they offer classic European baked goods, but the bakery's gallery displays the work of various local artists. The Litchfield County Times published a recent interview with Carlos. 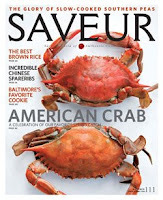 The May issue of Saveur features two pieces written by current culinary student Ben Mims. North American Crab and Our Favorite Southern Peas are just the most recent of Ben's pieces to be published. To read more of his work, visit Saveur. Julieta Ballesteros (Culinary '98) chef/owner of Crema chats with Gothamist about her fusion of traditional Mexican cuisine with French presentation. While Julieta regularly relies on her French training, she felt a week long celebration of Cinco de Mayo with a French twist would be appropriate. After all, the holiday marks the Mexican victory over the French in the 1862 Battle of Puebla. 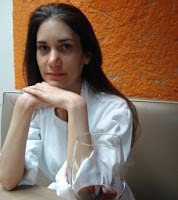 Her special menu will focus on French inspired food and drink, with an emphasis on food and tequila pairings. Enjoy Julieta's interview at gothamist.com. 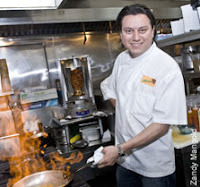 Culinary alum Julian Medina ('99) and his restaurant Toloache were featured in Wednesday's New York Post. His special menu for Cinco de Mayo was highlighted as part of the Mexican fiesta he will be hosting, complete with mariachis and tequila.